Home » Is My School A Hobby or A Business? Is My School A Hobby or A Business? 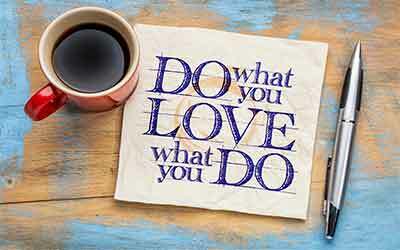 Characterizing a passionate practitioner's teaching activity or school as a "hobby" may invoke a negative response because those who feel slighted by the classification may perceive that it does not fully reflect, or somehow diminishes, the level of their devotion and commitment to teaching Soo Bahk Do®. Or they may feel that the word "hobby" fails to adequately describe the value of their significant contribution to the betterment of the lives of their students and that is does not adequately acknowledge their intent and the time and energy they expend sharing the Soo Bahk Do® martial art with others. Others may be offended when the word "business" is used to describe their teaching activity because they may feel that referring to their teaching program or school as a "business" creates a negative connotation about their motivation for teaching Soo Bahk Do® when they "do not teach for the money." Still others may be offended when their teaching activity or school is referred to as a "hobby" or a 'business" because they perceive their teaching activity as "pure" or "charitable" or "altrustic" and as such neither "hobby" nor "business" properly describe their "nonprofit" endeavor. Regardless of the differing perspectives about the language used to refer to or describe an instructor's teaching activity, the fact is that there are some important time commitment differences and other distinctions that must be acknowledged about teaching as a "hobby" versus teaching as a "business" and one of those distinctions considered by the Internal Revenue Service is "intent." If we pause for a moment to consider the Korean meanings associated with one's "intention" or "maum," then new insights may be gained about the perspectives expressed above. Maum can also imply 'intention' or 'mind' in Korean as in "something on my mind"
Practitioners who teach Soo Bahk Do® are often motivated to do so by their "heart" or "soul" and because of the "feeling" they have about sharing Soo Bahk Do® with others. Thus an instructor's true "intention" for teaching is not adequately described by the English language when referred to as a "hobby" or a "business." Some part-time instructors may feel that a more suitable description of their activity is a "calling," "lifework" or "avocation" while full-time instructors may prefer "occupation," "vocation," "profession" or "career." Regardless of an instructor's preferred description of their teaching activity, the reality is that "hobby" and "business" are terms used by the Internal Revenue Service to classify activities and determine the tax burden related to the income an activity generates. An instructor engaging in any one of these teaching scenarios is well advised to understand the distinguishing characteristics of a "hobby" and a "business" from the Internal Revenue Perspective regardless of how you "feel" about what you do. Entrepreneur Magazine suggests that startups without business plans are just expensive hobbies. Feelings in one's heart and soul about the nature of one's Soo Bahk Do® teaching activity will be subjected to the unemotional evaluation of the Internal Revenue Service at tax time and instructors who understand how a "hobby" should be reported on a tax returns versus how a "business" should be reported on a tax return can avoid any unpleasant tax surprises. Consulting a tax professional is prudent and advisable. Their objective assessment can help inform the answer to the question of whether your school is a hobby or a business. The following informative articles that may also provide some helpful information toward answering this question about your Soo Bahk Do® teaching activity. 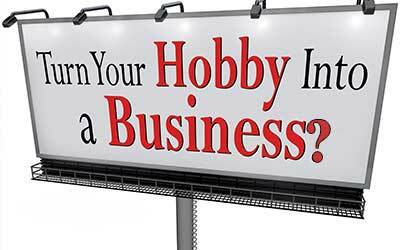 What advice would you share with your fellow school owners about the hobby versus business question? Use the comment feature on this page to share your perspectives about the answer to this question. ← Are Martial Art Franchises The Ultimate Business Plan?